It's amazing how glasses can fully transform people. That scene where the girl takes off her glasses and shakes down her hair goes both ways. Without glasses that flying superhero from outer space would only be seen as a tough guy, no passing for a nerdy new reporter. Now that we've mentioned that, how do people not see past his glasses to those muscles? Hmm, guess that's just the power of a pair of glasses. So, maybe you're hitting the town as a fly British agent who can't quite keep his groovy sayings to himself. You might be going as that librarian who's got a wild side. Or maybe you just want to look extra smart for the trivia night you're going to next week (these glasses can be pretty intimidating). 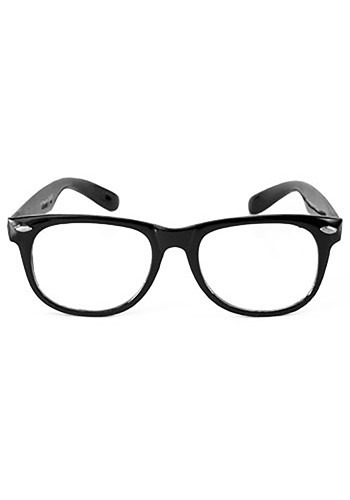 Either way, these black rim glasses with UV protection are sure to keep people on their toes because there is obviously a genius in the room!